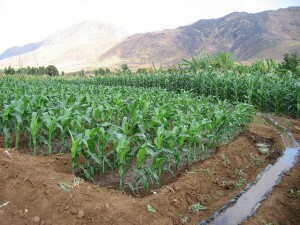 The AgCenter has research sites in a diverse portfolio of agro-ecological zones and farming systems in sub-Saharan Africa. Data and insights from this ongoing research, which include three-round panel data on the socioeconomic status, demographics, agricultural practices, and spatial characteristics of more than 3000 households, help interrogate the connections among environmental conditions, local agricultural and non-agricultural enterprises, household characteristics, and household transitions in and out of poverty. What household characteristics are associated with the adoption of new agricultural practices? What are the near and medium-term dynamics of agricultural technology adoption and how do these dynamics relate to households’ starting welfare and natural capital endowments? 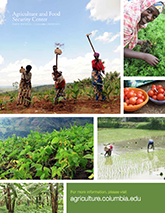 How and when do farmers transition from subsistence and staple crop production to cash crop production and/or market participation and what are the associated changes on household food security and income? What are the environmental attributes and agricultural practices of households that transition into and out of poverty? What are the patterns across various agro-ecological zones in the relationship between agricultural development and changes in household welfare?